Nearly two percent of America is grassy green. Sure, lawns are beautiful and useful and they smell great. But are the costs — financial, environmental and otherwise — worth the benefits? Where I live, in the great northeast of the United States, spring has finally gone full-bloom and summer’s right around the corner. When you get outside, it’s beautiful. The trees, the flowers — and of course, the lawns! Who doesn’t love a good lawn? It looks good, smells good, feels good. For a lot of people, a lawn is the perfect form of nature. Even though, let’s be honest, the lawns we like don’t actually occur in nature. Even though the process of producing such a lawn is full of the most unnatural activity. Even though this unnatural slice of nature requires so many inputs — the water, the fertilizer, the weed-killers, the mowers and trimmers and the leaf-blowers, the fuel to power all this machinery, the fuel to power the trucks to transport the people who run the machinery … all in pursuit of the perfect lawn. 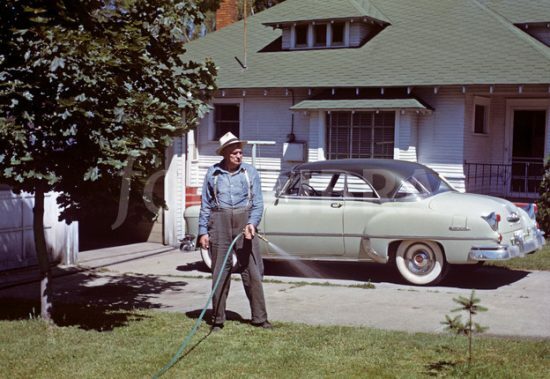 Stephen J. DUBNER: Give me — [as] briefly as you can — a history of the lawn. Ted Steinberg is a history and law professor at Case Western Reserve. STEINBERG: I’m the author of several books including American Green: The Obsessive Quest for the Perfect Lawn. These lawns that existed back in 16th, 17th, 18th-century England were typically found on estates. DUBNER: Now talk about how America got into lawns and the degree to which they upped the game. STEINBERG: Lawns go way back in American history. Washington and Jefferson, of course, had lawns. Nevertheless, even well into the 20th century, people, especially working-class people, were more concerned with, how shall I say, the “use value” of their yards as opposed to “exchange value” of the landscape. What I mean by that is working-class people would raise small livestock in their yards or vegetables. That said, the really big expansion in the “lawnscape” — if I can call it that — happened after the second World War with suburbanization. 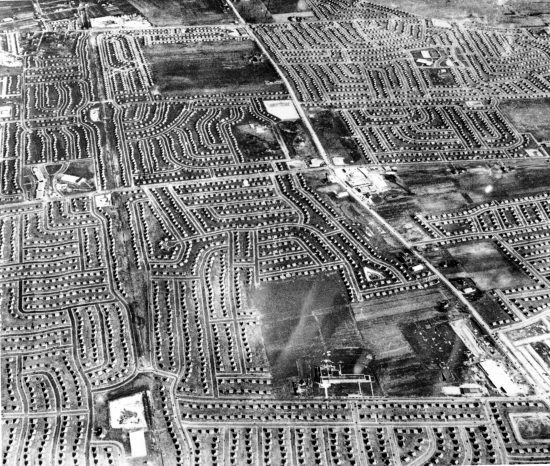 Clip from a 1950s newsreel: This is Levittown, one of the most remarkable housing developments ever conceived. STEINBERG: Between 1947 and 1951 or 1952 or so, the Levitts mass produced some 17,000 homes on what had been a bunch of potato fields on Long Island in New York. Every one of those 17,000 homes had a lawn surrounding it. If you look back at the deeds for Levittown and other places, you’ll find that there are covenants in them requiring the owner of [a] new Levittown home to mow their lawn, their yard once a week. Clip from a 1950s newsreel: Yes, that old potato patch has come to a good end. Today, Americans spend roughly $60 billion a year in what’s known as the turfgrass industry. This covers lawn supplies, lawn services, and so on. That figure includes sports fields, commercial properties, and private lawns; lawns account for two-thirds of the total square footage. How much square footage is that? MILESI: I am a scientist by training, and I worked for NASA for over 10 years. Today Milesi in an independent environmental scientist. Forty-odd million acres of turf — for reference, that’s bigger than Iowa. Milesi hadn’t set out to measure the size of America’s lawn. In fact, quite the opposite. MILESI: I was working to map the amount of paved area in the United States. Mapping out paved areas included using satellite data that measured nighttime light emissions. MILESI: Light emissions that come from, basically, turning on street lights at night. She and her team also used aerial photography — which, of course, showed more than just paved areas. MILESI: We also took measurements of how much lawn area there was and how many shrubs — shrub area and tree area. MILESI: How are lawns functioning as an ecosystem? We use water, but also fertilizer and pesticides. Then we use lawnmowers and leaf blowers. But they are plants, so they photosynthesize. They absorb carbon. What’s the balance between what we put in and what we put out? I decided this would be a worthwhile question to ask. The specific question being whether lawns are, from a carbon perspective, net-positive or net-negative. She began by trying to tally how much water people use on their lawns. The standard recommendation, especially where rainfall doesn’t do the job, is one inch of water per week. MILESI: I came up to some numbers that I could not believe. What are these unbelievable numbers? The total was 20 trillion gallons per year. On lawn-watering. You want a little context for that number? Consider we use just 30 trillion gallons to irrigate all our crops. Next Milesi calculated much carbon the turfgrass stores in the soil. MILESI: Then I subtracted from it the amount of carbon that was associated with nitrogen fertilization, and the amount of carbon that was emitted by using a typical lawn mower. MILESI: I learned that the turf would become a sink of carbon. This is not surprising. A plant, given plenty of attention, photosynthesizes carbon. But it comes at the cost of producing the fertilizer, mowing the grass and all the industry that comes around it. So even with those costs included, lawns look pretty good from a carbon perspective. On the other hand, Milesi’s model didn’t include inputs like the carbon emissions from the trucks that lawn crews drive, or the original manufacture of all that lawn-care equipment. Nor did it include the energy used to deliver water to households, and clean it for human consumption. MILESI: We should not forget that this is drinking water. I did not account for those costs. And, as just about any economist will tell you, water is often woefully underpriced — which can lead to overuse. Especially if you’re growing a grass species that wasn’t meant to grow where you live. STEINBERG: Kentucky bluegrass or creeping bentgrass evolved in the cool moist climes of northern Europe. STEINBERG: It’s not all that easy to grow them here in the continental United States and especially in arid parts of North America. If you go to California, you’ll find — still — lawns with cool-season turfgrass. Every square foot of that turfgrass requires 28 gallons of water, roughly speaking, per year. Every square foot. But that’s for the coastal environment. If you move inland to a more arid part of California, that number increases to 37 gallons of water. Eric GARCETTI: We waste so much water. GARCETTI: I’m the mayor of the city of Los Angeles. We spoke with Garcetti last year, when California was deep in drought. In Los Angeles, lawns and landscaping use a whopping 50 percent of Los Angeles’s water — and the drought had doubled what the city was paying to import water. So Garcetti used incentives to change behavior. The city paid residents to install rain barrels to capture water for their lawns; it paid them to replace their lawns with drought-tolerant plants. GARCETTI: I said, “If you have a lawn and you’re using it, great. Keep it and pay for the water to water it. But if you’re not, let us pay you to switch that out to beautiful, flowering, green plants that use a lot less water.” We’re able to do that with over 50 million square feet of lawn just in the last couple years. We reduced our water usage by 19 percent without having to fine anybody, without having to crack down with the water police, but by inspiring people through public education and rebates, giving them free cisterns, changing out their toilets, all those sorts of things. What works in California won’t necessarily work elsewhere. And California is more aggressive than most with environmental regulations. For instance: it’s currently pushing to lower emissions on lawn-care equipment, which tends to have particularly dirty little engines. They’re also really noisy. Erica WALKER: If you hear the sound of a leaf blower, it has these really interesting low-frequency and high-frequency components. That’s Erica Walker. She just got her Ph.D. in Environmental Health at Harvard. WALKER: Not only is it traveling inside of your walls, but it has this high-pitched hum that’s really annoying. In Boston, Walker helped compile a citywide noise report, which mapped, among other things, “leaf-blower annoyance levels.” A lot of places have banned leaf-blowers or restricted their hours — especially the noisier, gas-powered models. Walker was interested in the relationship between noise and public health in a city like Boston. WALKER: Sleep disturbance is the direct relationship between sounds and negative health. The World Health Organization suggests that daytime noise levels shouldn’t exceed 55 decibels. Walker wondered how leaf-blowers registered, even if you weren’t the one blowing the leaves. WALKER: We see that even when you move 400 feet away from the point of operation, you’re still getting sound levels in excess of what the World Health Organization recommends. But then we also learned that these leaf blowers have a strong contribution from the lower frequencies. It has an ability to travel very long distances and penetrate through the walls. It’s really hard to mitigate. We see in the epidemiological literature that low-frequency sound is creating negative health effects above and beyond high-frequency sound. So what’ve we learned so far? We have a lot of lawn in America; and our pursuit of the perfect lawn is noisy and resource- and labor-intensive. They do, however, serve as carbon sinks — and, of course, they’re beautiful, at least many people think so. And useful — for playing, for picnicking, for relaxing. Coming up on Freakonomics Radio: we love lawns so much we even plant them beside our highways! Alan TURNER: A standard cloverleaf takes up about 16 acres of lawn. And: if you don’t want to have a lawn in your yard, what can you have? Jim KOVALESKI: I think the best year I had it was like 2,000 pounds of sweet potatoes. Why did we make this episode, about the costs and benefits of lawns? Mostly because of you. Occasionally we ask Freakonomics Radio listeners for story ideas — especially for what we colloquially call our “Stupid Stuff” series — that is, things we do or use or submit to that are, on some level, kind of stupid. Well, last time we asked for your “Stupid Stuff” ideas, quite a few of them concerned lawns. Pat Allen from Trinity, Florida wrote: “What is up with the America addiction to lawns?” John Faulkner of Arlington, Virginia complained about noisy, smelly lawnmowers. And then there was Alan Turner. TURNER: I’m from New Castle, Delaware. My formal training, my initial career was in landscape architecture. Right now I’m looking at the highway median at the rest stop on I-95 just south of Wilmington, Delaware. Turner’s pet peeve is what’s in that highway median: grass. TURNER: It looks like this grass gets mowed three times in the summer, let’s say. It’s not just in highway medians, but also those cloverleaf interchanges. TURNER: A standard cloverleaf takes up about 16 acres of lawn. Turner understands why these are all grass. TURNER: Grass is cheap. Grass is the cheapest ground cover you can install. The problem with grass is that it’s also the most expensive ground cover to maintain. And it has to be maintained — mowed, especially — for safety, for good sightlines. So you’ve got all that mowing. And all those traffic delays when the mowers are out there in the medians. Turner’s idea is to plant highway medians with plants that don’t require maintenance like grass does. TURNER: The seed might cost slightly more, but that’s the only difference. Then you get a permanent ground cover that needs no mowing. Doug HECOX: I can honestly say this is the first time I’ve ever been asked to talk to anybody about roadside vegetation management. That’s Doug Hecox, with the Federal Highway Administration. It advises states on how to maintain their highway grass. HECOX: Nobody asks us about plants. They ask us about traffic and potholes. I think, conservatively, we’ve got about 17 million acres of roadside vegetation. Roadside grass dates back to the early days of auto travel. That began to change as early as the 1960’s, as state and local governments realized how many resources went toward maintaining all that grass. HECOX: In the 70s and 80s, we began to realize that water was really a big issue. States dealing with tight budgets began to plant native grasses, things that were a little bit more water-efficient. And: grasses that didn’t require as much mowing. But still: how about Alan Turner’s idea to get rid of grass entirely in favor of something that requires no mowing? HECOX: He does have a point. However, I’m also not willing to say that states haven’t already considered that. There may be reasons why they have to plant what they have. Budgets are so tight at the state D.O.T. level. Okay, so what about not replanting but also just not mowing the grass at all? HECOX: If you were to let something just go wild or return to nature, that sounds great. It sounds easy. It sounds cheap, and it is. It’s not necessarily the best choice, though. That’s where the invasive species thrive. In the south, you’ve got kudzu that grows all over the place. You’ve got other invasive species that pop up and start to proliferate, invading local neighborhood lawns or farmers’ crops. It can get out of control. Sara WIGGINTON: I totally understand what he’s saying and that’s the assumption. WIGGINTON: But we have to look and see if what we assume is really what’s going to happen. That’s basically what we decided to do. She’s an ecologist working on her Ph.D. at the University of Rhode Island. WIGGINTON: My ecological research focuses on finding creative solutions to human-caused environmental issues. She and her colleagues had a question about invasive species. WIGGINTON: The question that we were trying to answer was if invasive species actually do proliferate in roadside areas that are taken out of the regular mowing management strategies. They took advantage of a sort of natural experiment in Rhode Island. The Department of Transportation typically mows its roadsides anywhere from three to ten times a year. But over the past decade, it decided to significantly reduce mowing in some areas and eliminate it entirely in others. WIGGINTON: We classify that as passive restoration because you’re just taking it out of the circulation and then letting it go, letting succession take course. This allowed Wigginton and her colleagues to compare the number of invasive plant species in the mowed areas versus the unmowed, which had begun to grow wild. They also looked at young forests nearby, which had never been mowed. How did they collect those data? WIGGINTON: It’s not super glamorous. We basically lay out really long tape using compasses to make straight angles. Then, in a very time consuming process, we document every single species that we see in these subplots. WIGGINTON: We found that invasive species are not proliferating significantly in these areas that are taken out of the traditional mowing scheme. They have the same number of invasives as both the young forests and the traditionally mowed areas. I would advise that state D.O.T.s move as much of their land as is reasonable to a reduced, low, or no-mow management scheme. STEINBERG: The easiest thing to do is to elect to have what I call a low-maintenance lawn. Ted Steinberg again. He’s talking about personal lawns now, not highway medians. STEINBERG: Overtreatment is the single biggest problem that we have here in the United States with respect to lawn care. Right away, scale back on the chemical applications. You can get away with three applications of fertilizer per season. People also need to actually learn a little bit about the ecology of their yard. To do it right, you should get a soil test. Not a big deal. Leave the clippings on the lawn, for God’s sakes. Don’t put them out on the curb because the clippings break down and they return nutrients to the soil. I would argue, consider stopping the irrigation. Brown’s not so bad. DUBNER: I think you just lost a lot of our lawn-loving audience right there. DUBNER: I’m not saying I disagree with you. I’m just saying that [when] people think of a lawn, brown is death. Brown is the enemy. Brown is not a lawn. STEINBERG: The next time your lawn — if you’re worried about this — turns brown, go out there, get down on your hands and knees and look at the grass. It’s not dead. If you have a horrible drought, okay, I get it. But if it’s not, when it appears to be brown, it’s actually dormant. You’ll see a little bit of green where the blade meets the soil. The individual plants, most of them, are still alive. DUBNER: Ted, even you would have to admit that if you got your way, and if America suddenly woke up and said, “You know what? A low-maintenance lawn is good enough. It makes a lot of sense. Aesthetically, it’s fine. Environmentally, it’s probably better. Noise wise, et cetera, et cetera.” But think of the jobs you’re killing. This is a pretty substantial part of the labor market. Especially for low-education workers. Are you, Ted Steinberg, professor of history and law, willing to take the heat for killing off all those jobs? STEINBERG: One of the big problems that we have in the United States today, maybe even in the world, is a lack of meaningful employment. But actually, it might not be as dire as you’re implying here. You’re still going to need people to mow the lawn. Maybe not as much. You don’t really need to mow your lawn once a week. This could represent a savings, obviously, to consumers. It might not be the case that the floor is going to fall out of the job market because Ted Steinberg advocates for less in the way of perfection in lawn care. DUBNER:Hey, Jim. My name’s Stephen. How are you? KOVALESKI: Good. Hi, Stephen. I’m Jim. Jim Kovaleski is a front-yard farmer in New Port Richey, Florida, a small city just outside Tampa. DUBNER: Let me ask you this: you came up in lawn care. Did you enjoy that work? KOVALESKI: I might have thought I did. But now, every time I see a lawn trailer, I just shiver. It’s just like terror. So I don’t. No, I didn’t. And I had to use so many chemicals, especially as I came to Florida because the lawns they got here, they’ve got kinds of grass that will not grow without pesticides and herbicides. You can’t get them to do anything. KOVALESKI: Lettuce and broccoli and cabbage and cauliflower. Kovaleski turned a front yard into productive farmland. He started with his own yard, then expanded to his mom’s house, down the street. KOVALESKI: Then my ex-wife bought a house right next door to her three years ago and offered me her front yard, which [has] full sun. It’s allowed me to have a lot more growing space. He sells his produce at a local farmer’s market. KOVALESKI: The best year I had it was like 2,000 pounds of sweet potatoes. But theoretically, if I get better at this, this should produce like 15,000 pounds. I cannot believe how much value can come out of a small piece of land. Kovaleski gardens all winter in Florida, then drives his 1965 cherry-red pickup truck to Maine, where he does the same thing. In both places, he’s best known for his salad mix. KOVALESKI: I call it a greens mix. I plant very diverse. It could be a hundred different leafy greens. I’ll go through the garden and mix it as I pick it. Then I wash it, spin it, put it in a bag and sell that. In Florida, I probably sell 2,000 to 2,500 of those bags a year. In Maine, it’s pretty much the same mix. Maybe 1,000 up there. It’s a shortish season and it’s not as populated, so I make more of my money in Florida for sure. DUBNER: How much money do you make? KOVALESKI: You know, I’m doing really well. I do keep track because I want to show people how much you can make, because it’s pretty much a cash business. I could hide stuff but I haven’t. I’ve kept track for the last three years, or two years really good. First year that I kept good track was like 24 grand and then $27,000. I bet I’m on a pace of like $35,000 this year. I have very little expenses. So, you know, 35 grand’s a lot of money. I don’t know where to spend it, actually. DUBNER: Do you have any help or no, it’s just you? KOVALESKI: No, I’m a fussbudget. I’ve learned that it’s more stressful for me to try to work with other people and make things happen. More of my focus is to see how productive a small piece of land can be. I’m seeing it every year I’m getting better at it. DUBNER: Are there or were there any legal issues or ordinances you had to deal with to plant a garden in a front yard there? KOVALESKI: We’re fortunate here because it is non-deed restricted community so there’s not much for ordinances. There’s nothing against the law to do this. Potentially, there could be some enforcement issues about height of vegetation, but [it] always looks so good that was never an issue. DUBNER: You sound like a pretty live-and-let-live kind of guy. But on the other hand, it sounds like you would be happy if you started a front yard garden revolution. KOVALESKI: I would. I wouldn’t think I’d be one to lead something like that, but I’ve found that people follow things that work. I haven’t done any promotion over this 10 years. But there’s been a lot of press. I’ve been amazed at how people are longing for this. It’s poised to take off. Potentially, we can put people back to work on the land. Steve HILTON: We haven’t been in touch since the Brexit vote. There’s not much to say beyond that. HILTON: We want to end the way that big money donors dominate politics. And while Hilton is nearly unknown here, that won’t last for long. He’s got a new show on Fox News, The Next Revolution. HILTON: That is going to focus on what I’m calling “positive populism:” how we deal with the issues that have arisen as a result of the populist uprisings we’ve seen around the world. Freakonomics Radio is produced by WNYC Studios and Dubner Productions. This episode was produced by Christopher Werth. Our staff also includes Shelley Lewis, Stephanie Tam, Merritt Jacob, Greg Rosalsky, Eliza Lambert, Alison Hockenberry, Emma Morgenstern, Harry Huggins, and Brian Gutierrez; we also had help this week from Sam Bair. Thanks to Kevin Morris at the National Turfgrass Evaluation Program, Teresa Adams at the University of Wisconsin-Madison, Robert King of the Delaware Department of Transportation and Christopher Dilbeck and Dr. Michael Benjamin at the California Air Resources Board for their help in reporting this episode. Thanks also to Justin Mabee, Amy Sturgeon, Pat Allen, John Faulkner, Sara Schneewind and all of the other listeners who sent us their suggestions about lawn care. Ted Steinberg’s latest book is Gotham Unbound: The Ecological History of Greater New York. You can subscribe to Freakonomics Radio on Apple Podcasts, Stitcher, or wherever you get your podcasts. You can also find us on Twitter and Facebook. Eric Garcetti, the 42nd mayor of Los Angeles. Douglas Hecox, media relations director at the U.S. Department of Transportation; adjunct professor of journalism at American University. Cristina Milesi, scientific director at EvalStat Research Center; and geography and geospatial technology instructor at Foothill College. Ted Steinberg, Adeline Barry Davee Distinguished professor of history and professor of law at the Case Western Reserve University School of Law. Alan Turner, landscape architect and Freakonomics Radio listener. Sara Wigginton, Ph.D. candidate at the University of Rhode Island. American Green: The Obsessive Quest for the Perfect Lawn by Ted Steinberg (W. W. Norton 2006). “Effects of Reduced Mowing in Roadside Medians on Stormwater Filtration and Invasive Species Management,” Sara Wigginton (2015). “Mapping and Modeling the Biogeochemical Cycling of Turf Grasses in the United States,” Cristina Milesi, Steven W. Running, Christopher D. Elvidge, John B. Dietz, Benjamin T. Tuttle and Ramakrishna R. Nemani (2005). “N.J. Town Bans Leaf Blowers: Noisy Nuisance or Needed Equipment?” Jessica Mazzola, NJ.com, (May 29, 2016). “We Know You Love Your Leaf Blower, But It’s Ruining the Neighborhood,” Adrian Higgins, The Washington Post. (November 1, 2016). “Confessions of a Pothole Politician,” Freakonomics Radio (2016). “Misconceptions About Lawns,” Mental Floss (2015). “Nomadic gardener rents people’s yards to grow produce,” Kottke.org (2017).